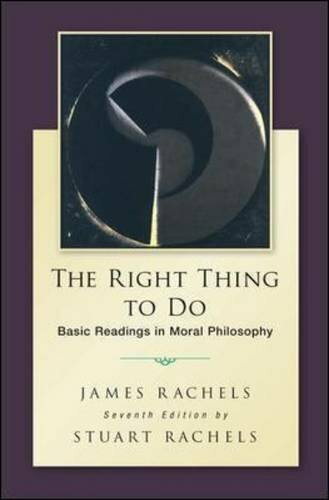 The Right Thing to Do: Basic Readings in Moral Philosophy is a companion reader to the best-selling text: The Elements of Moral Philosophy (0-07-8119065). Authors James Rachels and Stuart Rachels offer engaging, thought-provoking essays on compelling issues that students are familiar with and understand. This rich collection of essays can be used on its own for a course on moral philosophy, or it can be used to supplement other introductory texts.